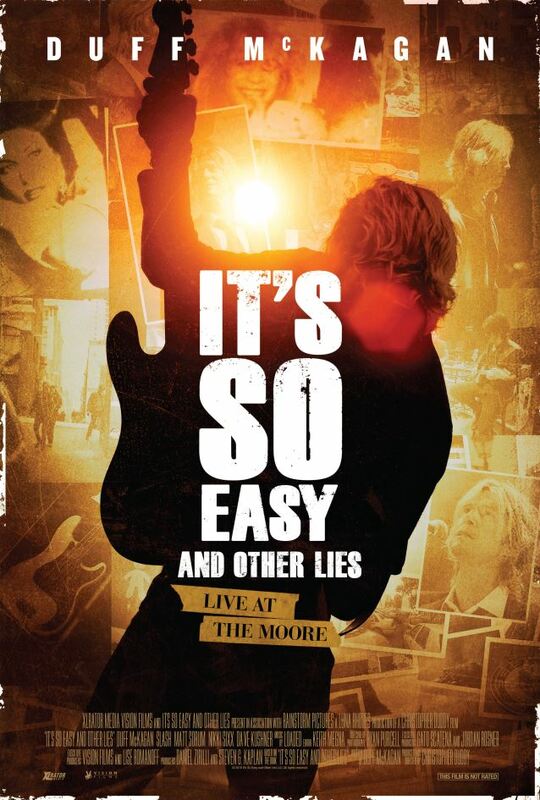 GUNS N' ROSES bassist Duff McKagan's new documentary, "It's So Easy And Other Lies: Live At The Moore", will begin a limited theatrical run in U.S. theaters starting May 26, according to The Pulse Of Radio. XLrator Media will present the film in 50 cities ahead of its arrival in Los Angeles on June 3. The film focuses on McKagan as he tells his life story in a live performance at Seattle's famed Moore Theatre in 2013. Featuring exclusive archival footage, this authorized documentary chronicles Rock And Roll Hall Of Fame inductee McKagan's meteoric rise to fame and fortune, his near-fatal struggles with alcohol and drug addiction, and his remarkable life transformation. The film features interviews with many of the people who took this wild ride, including a constellation of rock stars that rose to fame alongside him, and the people who inspired him to overcome his addictions. In a voice that is as honest as it is indelibly his own, Duff takes audiences on a harrowing journey through the dark heart of rock 'n' roll and out the other side. "It's So Easy And Other Lies: Live At The Moore" was directed and produced by Christopher Duddy, produced by Daniel Zirilli and Steven G. Kaplan, and executive produced by Vision Films' Lise Romanoff, Gato Scatena, Jordan Rosner, Hans Stangl, Birgit Stein and Kati Thomson. Evan Saxon did the theatrical booking. The Seattle appearance was part of a promotional tour by McKagan in support of his 2012 memoir of the same name, which debuted on the New York Times' Hardcover Nonfiction Best Sellers list at No. 17. McKagan's first book and his second, "How To Be A Man (And Other Illusions)", chronicled not just McKagan's life but the wisdom and experience he gained from his time with GUNS to getting sober after a life of hard living to raising a family with his supermodel wife. 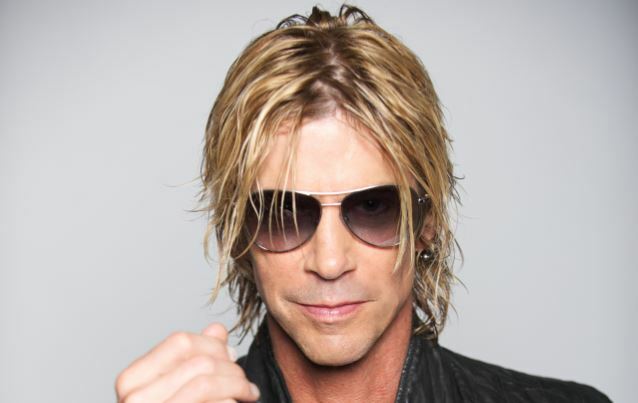 McKagan told The Pulse Of Radio not long ago what the best part of sobriety was. "Waking up every day. Waking up and being able to have a cup of coffee and be aware of what's going on around me and being comfortable in my own skin, and being curious about what's gonna happen that day," he said. "Simply, just waking up is the best thing." The documentary's release comes three weeks before the partially reunited GUNS N' ROSES will begin a summer stadium tour of North America at Ford Field in Detroit on June 23.